Based in the historical Cadman Bathhouse the museum is the focal point of the domain. 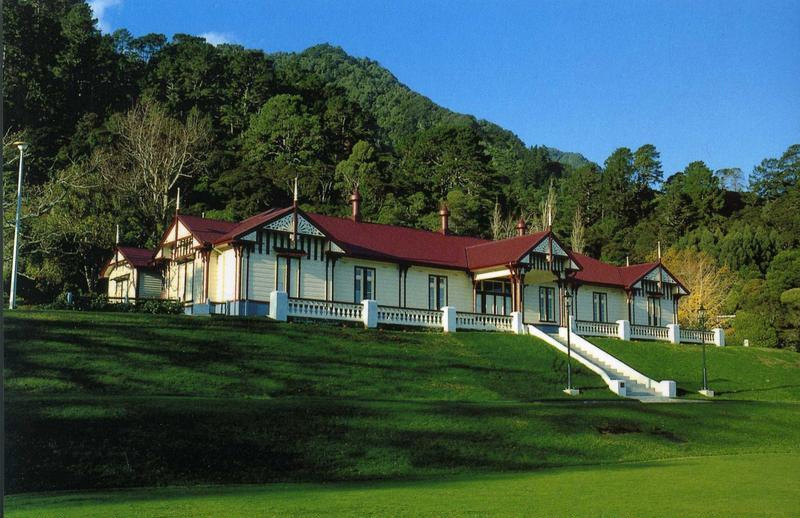 It reflects the very early popularity of Te Aroha as a tourist destination and its beginning as the spa town in New Zealand. The Bathhouse contains much information about early local history and mining. Refer to our web pages regarding specialised collections. Genealogy & History Research, Books and Postcards for sale, Children & Groups welcome. 17 advertising arch bathing bottle cavalry colonial costume dairy domain drinking farming fountain gateway gold "government tourist board" horses "hot spring" "hot spring 15" "hot springs" machinery medical military mineral "mineral water" mining "no15 spring" photograph pioneers porcelain postcard poster promotion "r at home" remedies riflemen shanks sign soda soldiers souvenir swimming "te aroha" thermal tools tourism uniforms volunteers water "x ray"